Knowledgeable, honest, and straightforward, San Diego real estate professional, Kim Speed, provides clients with competent guidance and attention to detail while leading them on the path to find the perfect home or sell their existing property. For nearly twenty years, Kim has demonstrated professionalism, high standards and dedicated service to the real estate profession. Previously licensed in North Carolina, South Carolina, and Maryland, Kim has established a reputation for exceeding client expectations and achieving exemplary results for sellers and buyers alike. 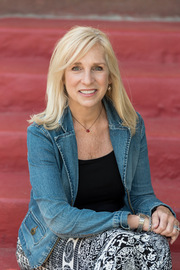 Throughout the course of her real estate career, Kim has garnered numerous quarterly and annual sales awards - achieving the top 5% in productivity. Whether it’s getting a sense of the market, finding that hidden gem, working with lenders, writing a contract or anything in between, Kim takes care of everything so that you can focus on your life, family and your next move. You will never doubt that you are in good hands with a trusted, respected professional who doesn’t mind rolling up her sleeves and getting to work. An East Coast transplant who fell in love with the San Diego coast twenty years ago, Kim and her family make their home in Carlsbad. In her free time, she and her husband, a retired U.S. Marine, like to hike and kayak with their rescue pup. During these outings, it is common to see her with camera in hand as she indulges her second passion, photography. Additionally, Kim and her husband like to spend time with their son and daughter-in-law in Brooklyn, New York. Kim’s son is a documentary film director, with work featured on FranceTV. He lives happily with his wife who is pursuing a graduate program in Biology.